We really understand how to drive sales – we’ve many years experience in successfully growing businesses and love nothing more than applying our knowledge and skill for clients. We get fired up about the impact that sales can have on a company when you’ve got the right people with the right skills and the right strategies and tools in place. We work with leaders of ambitious companies across all sectors and industries, helping them identify and implement sales strategies and techniques to drive sustainable growth and boost revenue. Your business will grow if it becomes truly customer-focused and delivers customer experience excellence. 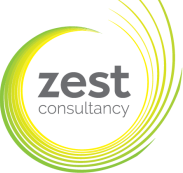 The engaging and results-driven Zest Consultancy team is the right partner to help. Get in touch today to tell us about your business.